A lament on the status of cuisine in these days of fraudulent food. Summer is definitely here and the season of travel is upon us. As a result, I thought it would be appropriate to reflect on a few foodie moments outside of the Southwestern Ontario area due to some past travels of my own. So, dear reader, what I cannot fathom is how a six hour drive north (and a little east) can result in such wonderful eating experiences. 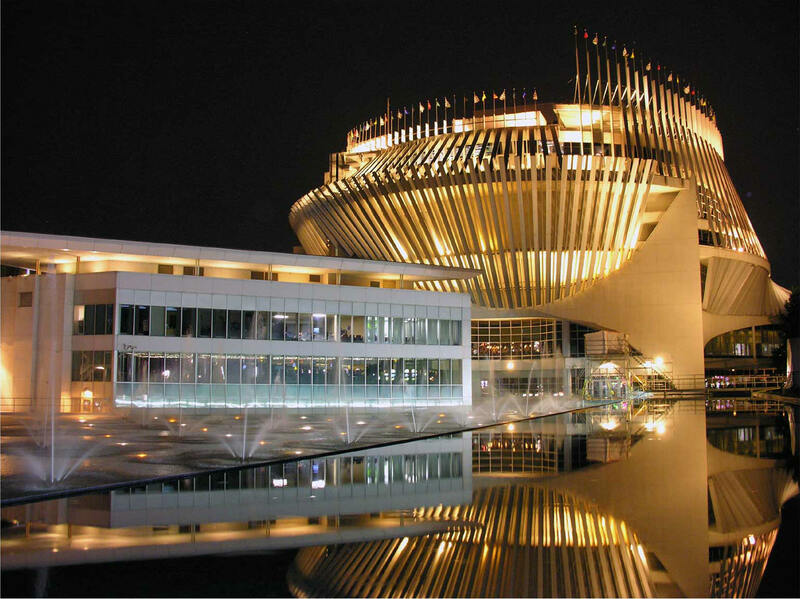 On a recent trip to Montreal for the car-tastic Formula One Race weekend, me and several dining companions visited a variety of eating establishments and were satisfied with every single one. Mind you, I should point out that 50% of our party were actual Montreal-ers so the chance for dinner dissatisfaction was slim, however, there was still a risk of this occurring. Our hosts were fully aware of the importance in seeking out good restaurants so that made things very satisfying for our palates. Honourable mention goes to the Montreal-er baby who was also with us, but given his preference for masticated vegetables, I think it would be safe to say that his opinion didn’t quite count yet. 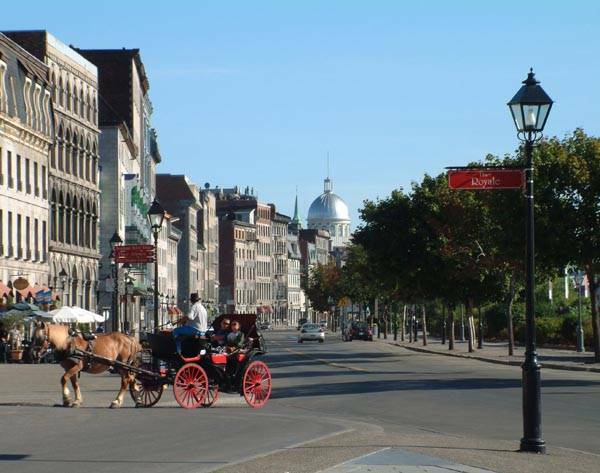 Old Montreal - Isn't it lovely? The Casino - the F1 Race track goes around it. The first place we visited was a café in the Jewish Quarter. I ordered the vegetarian Panini with a side salad. The sandwich was large and brimming with a wonderful variety of veg, including avocado, which I don’t usually adore. Tucked in between the greens was some warm goat cheese; a traditional yet always delicious addition. The accompanying salad was fresh, lightly dressed and was accentuated with shaved swirls of carrots and beets. Pretty to look at and just as nice to eat! For dessert, I wholeheartedly approved of the suggested chocolate and rum croissant. How did they make the glorious croissant even more delicious than it already is? Simple: they used real butter when making it for that perfect crispiness, cut it in half, and spread it with the Euro version of peanut butter – Nutella – and just before serving, dunked it in some rum! Definitely NOT kid friendly, but oh so delicious. It was a great lunch with some unforgettable moments (I’m looking at you, croissant!). Our dinner later on that same day was an excellent home-made affair consisting of deli sandwiches filled with pineapple slices. Cheers to the cook for her excellent choice in creating an unexpected contrast of flavours that worked beautifully together. In fact, if you happen to be craving a snack at this very moment, try it yourself. Go into your kitchen, make a traditional sandwich with meat, cheese and veg, and then add some cream cheese and pineapple slices. It’s fantastic! 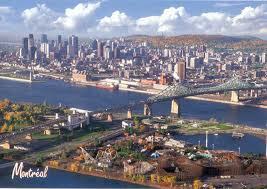 The following day in Montreal, we ate a late lunch/early dinner at a restaurant in the Old Port area. This was a three course deal which consisted of appetizer, main and dessert. For starters, I ordered the vegetable soup which was simple but tasty. It wasn’t the best soup I ever had but they claimed it was made completely from scratch with organic ingredients so I ate it all since we were famished from walking around downtown. The main was a vegetarian pasta whose sauce reminded me of watered down ratatouille. This was served on top of spaghetti. It could have been boring and devoid of flavor but the cook had sprinkled several different cheeses on top and melted them under the broiler. It was a nice touch that really gave a standard meal a lot more depth. For the finale, I had to go with the chocolate mousse cake and an “American” coffee (that being black coffee from a coffee maker with space for milk and sugar). The cake was really fantastic and smooth with lots of chocolate flavour. The coffee was standard but did the trick. Later on, we visited Little Italy in downtown Montreal to see the Ferraris, Lamborghinis and Fiats all lined up along public streets on display to the crowds, in tribute to the Formula One race. We asked one of the shop owners where the best Cannoli could be obtained and were quickly advised to visit one of the plain-front shops on the main street. Cash only. We had to laugh about the premise of ONLY being able to pay with cash at this particular mom and pop operation but quickly forgot about this strange requirement when we tasted the treats. They were so fresh that the deep-fried pastry hinted of warmth and the cheese inside was still cold. A lovely contrast and with so much flavor it was impossible to forget. If you haven’t yet made a trek to the French province, I suggest you do so. A mere six hour drive is all it takes to be transported to a land where the weather if beautiful, the people have lovely accents, and food as well as fun takes centre stage (but avoid going when Old Man Winter is in town!). Do you drink wine just to be polite? See my page of the same name for tips on understanding and perusing through that cornucopian selection of bottles at your local watering hole. I'll keep a rolling list of wines here that might be good ones to try.